(CNN) - On Tuesday, the leaders of Japan and Russia will hold talks on what remains one of the world's longest-running unresolved international disputes. The Kuril Islands, referred to as the Southern Kurils by Russia and the Northern Territories by Japan, were captured by Soviet forces following Japan's surrender to Allied Forces in 1945. The resulting disagreement over who has rightful ownership of the islands has soured relations between the two countries, contributing to their continued failure to sign a World War II peace treaty. The disputed territory, located off the coast of the Japanese island of Hokkaido, consists of four separate islands: Iturup, known in Japanese as Etorofu, Kunashir, or Kunashiri, Shikotan and the islet group of Habomai. The two governments are pushing for a treaty to be signed based on a 1956 declaration, which acknowledged the cessation of WWII hostilities but did not set out terms for a formal peace agreement. 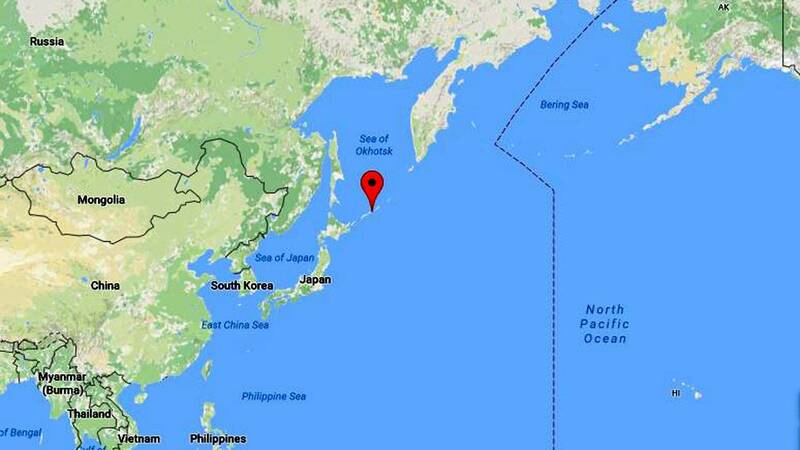 Japanese media states that the terms of the 1956 accord would hand over Shikotan and the Habomai islands to Japan, a sensitive notion inside Russia, where the ceding of any territory to Japan would likely be met by protests. The territorial dispute was raised ahead of Prime Minister Shinzo Abe's trip to Moscow this week to meet with Russian leader Vladimir Putin. However, Sergey Lavrov, Russia's top diplomat, has downplayed the chance of the island chain returning to Japan. When Lavrov and Japanese Foreign Minister Taro Kono met last week in Moscow, the Russian told his Japanese counterpart that "sovereignty over the islands was non-negotiable," according to Russian state media. "This is Russia's territory." A handful of Russian nationalists took to Moscow's streets Sunday, demanding that the government stand firm on the issue, chanting "(The) Kurils are Russian land!" Igor Skurlatov, a speaker at the rally, which was estimated at around 500 people strong by the city's security department, called any suggestion to hand over the territory an act of treason. The unequivocal language comes following Russian dismay with Tokyo's recent statements on the island group's status, with Kono stating that he hoped 2019 would be a "turning point" for determining the island's true legal status. The meeting of Lavrov and Kono marked the first time the two had met since being appointed by the two countries' leaders to oversee negotiations leading to the eventual signing of a peace treaty. Lavrov called the issue of the island's ownership an "outcome" of World War II and said that there were "significant differences" between the two nations' perspectives, but invited joint cooperation on the islands, which are a rich fishing resource. Abe has also urged joint cooperation. Ahead of the two leaders' bilateral meeting, the topic has inflamed Russian passions. Speaking in the Duma, Russia's parliament, Liberal Democratic Party of Russia faction leader Vladimir Zhirinovskii said that should the Japanese wish to develop bilateral ties, it should expel US forces from its territory and conclude a peace treaty with Russia -- but ruled out handing over the Kurils. "Where the Russian flag hangs, it will always hang," he said, ramping up rhetoric to suggest "landing troops" on Japanese soil. "Then let's conduct joint military exercises. Let's see what the Japanese navy, the Russian navy are worth, maybe we will drop the landing troops on one of the Japanese islands, let them see how our guys successfully land on Japanese soil," Zhirinovskii suggested. The islands were occupied by Soviet forces at the end of WWII, when as many as 17,000 Japanese citizens were expelled. Around 19,000 settlers currently live on the islands, according to intelligence firm Stratfor. According to the Japanese Ministry of Foreign Affairs' website, the islands "are an inherent part of the territory of Japan, which have never been held by foreign countries. However, the Northern Territories have been under illegal occupation by the Soviet Union, and then Russia, since the Soviet Union occupied them in 1945." According to the ministry, the Japanese government "has energetically been continuing negotiations with Russia based on its basic policy of resolving the issue of the attribution of the four Northern Islands and concluding a peace treaty with Russia."